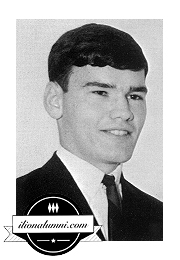 Mr. Eugene G. 'Jerry' Walsh IHS 1966 age 61, of First St., passed away in the comfort of his home under the loving care of his family on Wednesday morning, August 13, 2008. 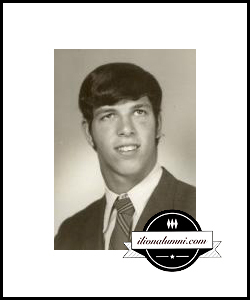 Born in Johnson City on April 2, 1947, he was the son of the late Jerry and Catherine (Gardner) Walsh and graduated from Ilion High School. On August 1, 1970, Jerry was united in marriage to Carol A. Seymour at Sts. Peter and Paul Church, Frankfort; a devoted and blessed union of 38 years. He was a well-known and well-respected barber for 32 years in both Syracuse and Ilion. For more than 25 years, he captured the memories and dreams of countless local residents as owner and videographer of Walsh's Video. He was a communicant of Annunciation Church, Ilion, Annunciation Parish Council, AYSO coach and board member, Ilion Elks Lodge and the Elks Golf League. Jerry's greatest enjoyment came from those times shared with family. The dearest times were those spent with his grandchildren. He was a remarkable husband, father, son, son in law, grandfather, brother, brother in law, uncle and friend. Jerry had the knack of making everyone around him feel special. A generous and caring man, Jerry was always ready to assist those who needed a hand; his gentle ways were a sign of his kind-hearted nature. An avid golfer, he had many good times and many friendships on the links. Jerry was loved and respected by many in Ilion and throughout the valley and will be sadly missed. Survivors include his beloved family; his wife of 38 years, Carol; his son: Jerry Walsh and wife Amanda of Rochester; his son: Christopher Walsh of Utica; his cherished grandchildren: Patrick and Grace. He is also survived by his brother: John Gardner and wife Kathy of Old Forge; three sisters: Sharon Applegate of Chapel Hill, NC, Mary Catherine Pasquariello and husband Charles of Exeter, PA and Mary June Wainman and husband David of Ilion; his mother-in-law: Adela Seymour of Ilion; in-laws: John and Mary Margaret Freedman of Skaneateles and Burt and Laurie Seymour of Florida; many loving and special nieces, nephews and friends. He was predeceased by his parents and by his father-in-law: Christopher Seymour. Relatives and friends are invited to calling hours at the Enea Family Funeral Home, 4309 Acme Rd., between Ilion and Frankfort (894-8000) on Friday, August 15, 2008 from 5-8 p.m. Members of the Ilion Elk's Lodge #1444 will gather at the funeral home to conduct their service at 6:15 p.m. on Friday. Jerry's funeral will commence at 9:15 am on Saturday, Aug. 16 from the chapel of the funeral home where prayer will be offered and at 10 am from Annunciation Church, West St., Ilion where the Very Rev. Anthony Barratt, Pastor will celebrate his Mass of Christian Burial. Funeral procession will follow to Armory Hill Cemetery, Ilion where he will be laid to rest. In Jerry's memory, kindly consider a contribution to the Jerry Walsh Scholarship Fund, Muscular Dystrophy Association or to the ALS Foundation (Lou Gehrig's Disease); envelopes may be obtained at the funeral parlor. "You made me so very happy." 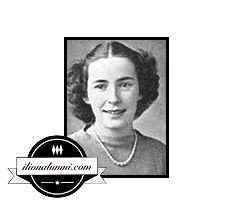 Ethalynd 'Lynn' (Burke) Weeden IHS 1940 died Saturday, May 10, at Crouse Irving Memorial Hospital. A native of Ilion, N.Y., she had lived in Tully since 2002. Lynn grew up on her parents farm in the Ilion Gorge and raised her own family in Ilion after graduating from the University of Rochester School of Nursing. She returned to college as a mother of three and received her bachelor's degree from Utica College in 1975. Lynn's lifelong love of gardening, birds and the out-of-doors was obvious to all who had the chance to enjoy a relaxing moment in her yard. An activist both politically and socially, she was recognized by the Utica-Rome Metropolitan Area League of Women Voters in 1984 when she received the Citizen of the Year Award for exemplifying their principles of informed and active citizenship. She tirelessly worked to promote all women's rights, especially the right to control their own reproductive lives.